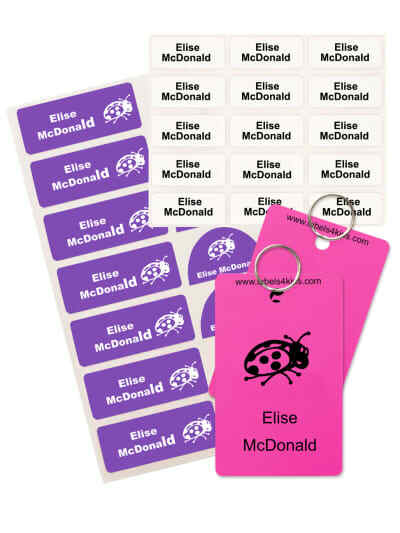 2 personalised bag tags for your bags. 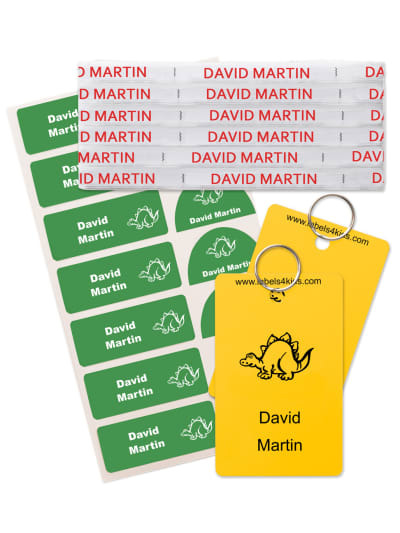 Great value pack with name tags for clothing to iron on, name stickers for belongings and bag tags. A must have for school, because kids lose stuff! Black, Blue, Bright Blue, Green, Lime, Magenta Pink, Mauve, Mint, Orange, Pink, Purple, Red, White, Yellow. 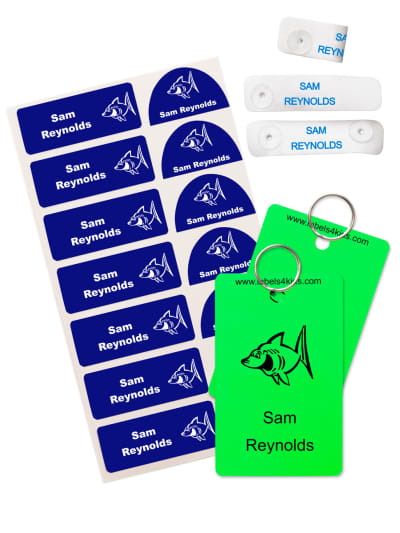 Supplied with 20 mm split key rings, attach bag tags directly to bags. Alternatively you can purchase plastic loops to secure bag tags to bag straps/handles. 2. Apply labels to clean, thoroughly dry garment (labels applied to soiled or damp garments will not adhere properly). 3. Place label on garment in desired position. 1. Apply the label to a clean, dry, smooth surface and do not wash for 1 hour. 2. 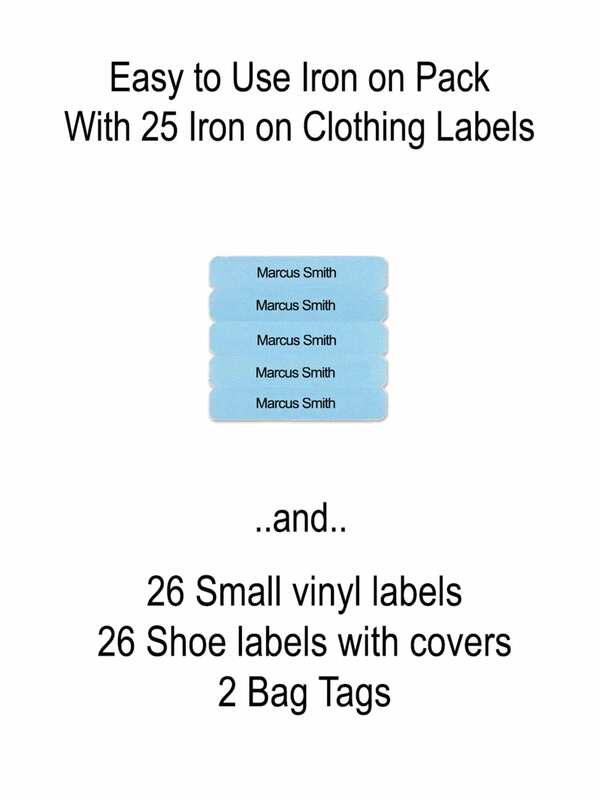 Vinyl Shoe Labels can be applied many objects but when used in shoes ensure the transparent overlay is placed over the coloured label to prevent the ink reacting with perspiration in the foot and fading. letters on labels were stretched and didn't look good :( Thank you for your review. We have sent you an email advising that we can have the labels re-run with a different text style and over two lines. Easy to use and stay stuck! Thank you for your kind review. I am so glad you are happy with your order and our product range. 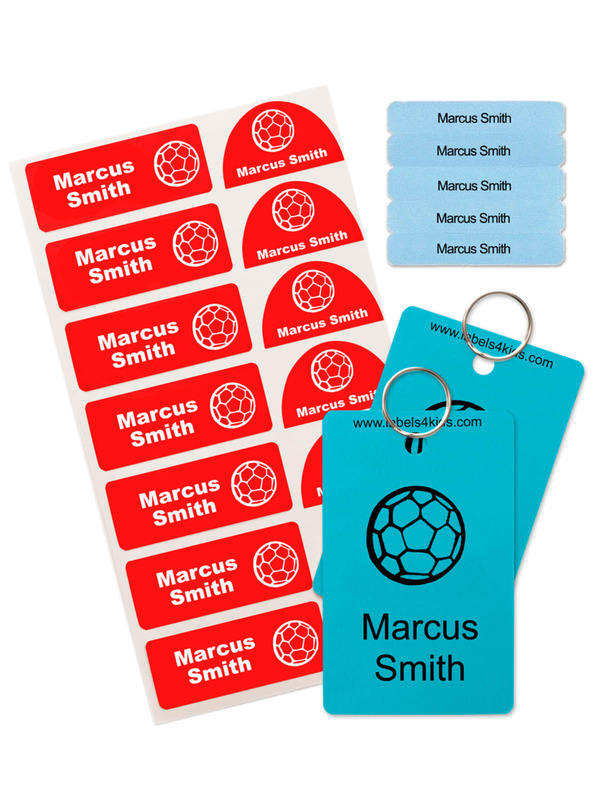 Amazing product and even the kids can get involved in making their personalisation unique. Thank you for your kind review. I am glad you are pleased with your order and I hope the children have fun helping out! The pack contained everything I needed for the new school year and a couple of items I wasn't sure I needed but have already used. Stickers in the pack are lovely. Stuck some on shoes and so far still in place. Some on water bottles which have been through the dishwasher numerous times and still looks like new. Iron on clothes labels: standard design. Not as nice as the stickers in the pack but they do the job. So far still in... Read More. Stickers in the pack are lovely. Stuck some on shoes and so far still in place. Some on water bottles which have been through the dishwasher numerous times and still looks like new. Iron on clothes labels: standard design. Not as nice as the stickers in the pack but they do the job. So far still in place. Essential for young school children. Brilliant easy to use and they look good on the clothes they stand out very well. Very good product. Easy to apply. Looking great, my daughter is so happy! Easy to use. 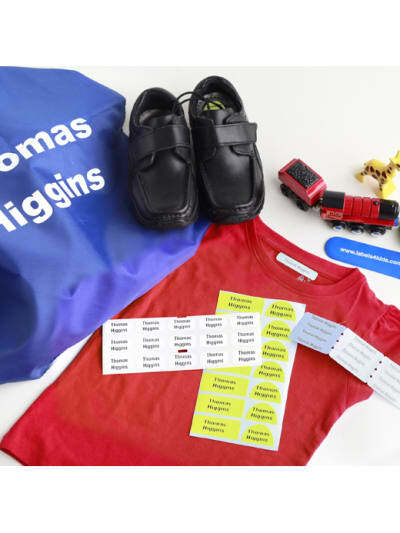 Excellent Thank you for the lovely feedback and continued loyalty to Labels4kids products. 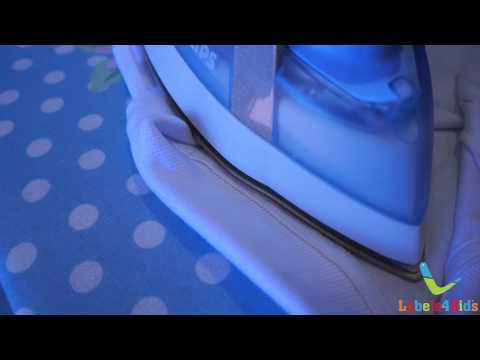 Happy to hear that the Easy to Use Iron On Pack works so well for you. Have used these for the past 4 years and they are fab as they do not come off. 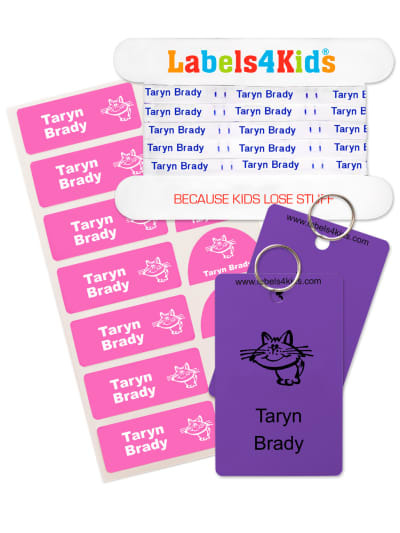 Great product by labels4kids. Quality product!